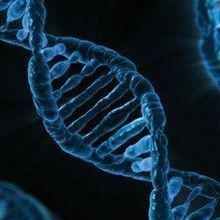 The latest CRISPR deactivators to be discovered turn off the Streptococcus pyogenes Cas9 widely used in genome editing. 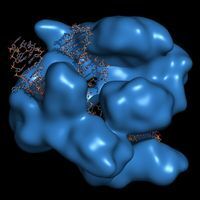 WIKIMEDIA, CAS9 WIKI PROJECTFollowing closely on the heels of the discovery of several proteins that can block CRISPR-Cas9 activity in human cells, researchers from the University of California, San Francisco, report yet more anti-CRISPRs, in a study published in Cell today (December 29). Joseph Bondy-Denomy of UCSF and colleagues demonstrate how two such inhibitors can stop CRISPR gene editing activity in both bacterial and human cells, by impeding the Cas9 enzyme from Streptococcus pyogenes. 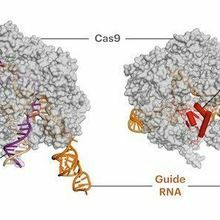 The researchers found these Cas9 blockers by searching bacterial genomes for both a CRISPR sequence and its target, under the assumption that the genome likely contained an inhibitor to prevent CRISPR from cutting that target in the bacterium’s own genome. Indeed, Rauch and colleagues uncovered several anti-CRISPRs in Listeria whose sequences had been left behind in the bacterial genome by prior phage infection. 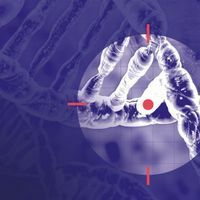 “Just as CRISPR technology was developed from the natural anti-viral defense systems in bacteria, we can also take advantage of the anti-CRISPR proteins that viruses have sculpted to get around those bacterial defenses,” Rauch said in the statement. 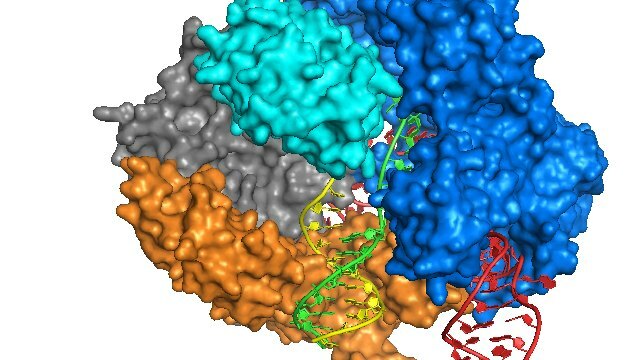 Two of the inhibitors blocked Cas9 from Streptococcus pyogenes, the form of the DNA-cutting enzyme frequently used in genome editing. In a study published earlier this month in Cell, a different team of researchers reported the discovery of several anti-CRISPRs that block Cas9, but none of them acted against the activity of the Cas9 from S. pyogenes.